No country can be easily distilled into a paragraph, but Japan’s contradictions make it even harder than most. Most of the time it’s thought of as modern and progressive, a place with a vending machine for everything, space age transport and a forward looking attitude towards technology. But when you’re there it feels ancient, traditions and aesthetics hundreds of years old are alive and well, temples are still fit for purpose - despite the way skyscrapers may now crowd around them, Zen rock gardens and Tori Gates still promise the same opportunity for spiritual reflection, and time is still taken over the details of every day life. People still know how to whisk matcha (green tea), and serve the right kind of carefully made treats to correspond with the seasons. And we think our recommendations for the best places to stay in Japan should reflect this pleasure in the detail, and in beauty for beauty’s sake. When it comes to the islands, Kyushu, Japan's southern and westernmost island, is described as magically beautiful, with its active volcanoes, near-tropical coastline, rolling green hills and mountainsides carpeted pink with the petals of rhododendrons. If you want to hike, share a snack with a monkey, explore ancient forests, bathe in hot springs or try the tea ceremony then Kyushu is a good place for it. Hokkaidō is a sparsely populated island with vast expanses of semi-explored wilderness on a volcanic bed, which means bright caldera lakes, bubbling natural springs and dramatic topography. It also happens to have some of Japan’s best skiing terrain. Shikoku is the smallest of Japan’s four main islands, tucked in to the south of Honshū and east of Kyushu. Shikoku is home to the 88 Sacred Temples of Shikoku, which is Japan’s most famous pilgrimage trail, and is synonymous with Japan’s spiritual side, as well as being known for its natural beauty (again). The Pacific coast region is particularly spectacular, but there are mountains, valleys and rivers aplenty too. Shikoku is also known for its yuzu fruits, which grow very well here. And Honshū is the big island in the middle, the one with Tokyo, Kyoto, Mt. Fuji, Osaka, Hiroshima, Kobe, Nagoya, Nara and Kansai, to get us started. To get a sense of size, Honshū is actually a bit bigger than Great Britain. The Japanese Alps and Mt. Fuji, and other mountains and volcanoes, give Honshū some rather dramatic topography, as well as some world class ski fields. But Honshū has lush tropical forests to the south too. As well as rich, fertile lands where much of Japan’s food and textile production has always been centred. And there’s a very rich cultural heritage on this island, as there is on Japan’s other islands, with numerous beautiful and famed temples and shrines. Rather brilliantly, Honshū is connected to Hokkaidō, Kyushu and Shikoku by a series of bridges and tunnels. Even if you’re not planning to spend too much time in Tokyo, it would be a shame to miss this fantastic city of any itinerary of Japan. The top of the Tokyo highlights list usually includes Tsukiji Fish Markets, Harajuku and Shiibuya, the Edo-Tokyo Museum, the gardens around the Imperial Palace - and many of the city’s other gardens, and then the temples - which are all over the place, from grand temples surrounded by vast parks to tiny temples squeezed in between huge stores and skyscrapers. Kyoto lets you back into the world of old Japan, of its religion and royalty and commerce and nightlife. Gion’s streets beckon welcomingly after a day of gazing in awe at the time and positive energy funnelled into the construction and upkeep of Kyoto’s thousands of temples and shrines, proving there is still a lot of life in this beautiful old girl yet. Once a place of geisha silks, parks carefully laid out to reflect the seasons, narrow cobbled streets and wooden dwellings, and classically beautiful art and writing, these things remain but are kept aside like museum pieces rather than part of the regular cycle of life. The top the list of Kyoto’s highlights usually features the Fushimi Inari-taisha Shrine which has incredible tori gates, the Kinkakuji Temple, which is also sometimes known as the Golden Pavillon, and Nijo-jo Castle. Nara is Japan’s second city, after Kyoto, when it comes to cultural beauty and incredible history. And it was Japan’s first capital. It was founded around 1300 years ago, and built around an incredible park: Nara-kōen, which is filed with ancient temples, treasures and relics. Osaka is a thriving commercial centre, but in a very different way to Tokyo. This is a younger city, with a less serious attitude, and plenty of chic, trendy bars and restaurants. And more tech start-ups and A.I. related businesses. And fewer historic attractions, like castles, shrines and temples, than other Japanese cities. Hiroshima is best known for what happened here one August day at the end of the second world war, however it’s now a beacon of peace, as well as a reminder of what we’re capable of doing to each other. While most people spend most of their visit around the Peace Memorial Park, modern Hiroshima is beautiful, and not depressing at all, with its tree-lined boulevards and lively cafes. It’s also a very friendly place. And it would be a shame to visit Japan and not see Miyajima… or take party in a tea ceremony; and climb a mountain cut with steps to a simple, but beautiful Shinto shrine; and attend a sumo match; and walk through a forest of tori gates. The Peninsula Tokyo is a luxurious 314 room property in a superb location in the heart of Tokyo. The decor mixes Japanese and contemporary style, the views are phenomenal and the restaurants and spa do the rest of the hotel justice. Known for contemporary luxury and Michelin starred restaurant, Conrad Tokyo has 290 rooms - famously with freestanding bathtubs overlooking the Tokyo skyline. The service is superb, as is the spa. The Mandarin Oriental feels sleek and luxurious and has incredible views from its 179 cool, contemporary rooms - think parquet floors and modern Japanese furniture. The hotel has a number of elegant bars and restaurants and an impressive spa. The Prince Park Tower occupies a great position, surrounded by a beautifully kept garden in the very heart of Tokyo. The hotel’s 603 rooms are stacked quite high and feature floor-to-ceiling windows with incredible views. Rooms also have hard wood floors and modern art. A hotel this size is going to have good facilities but the Prince Park Tower has a blowing alley as well as an almost impractical number of restaurants. The Imperial Hotel is one of Tokyo’s great historic hotels, known for its opulence. There are 875 well proportioned rooms with floor-to-ceiling windows and luxurious bathrooms, a choice of bars and restaurants and a wonderfully luxurious spa. The Tokyo Station Hotel offers fantastic East meets West style within Tokyo’s main station. Dating from around 1915, this hotel feel quite opulently European, with antiques, chandeliers and large sash windows. There are 150 rooms, plus a choice of buzzy bars and restaurants. The Palace Hotel is an iconic hotel in an incredible spot right by the Imperial Palace Gardens. The 290 rooms have fabulous views - which you can enjoy from the bathtub in many rooms, plus a choice of restaurants and bars. Swanky. 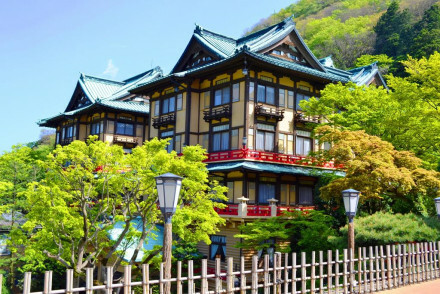 The Westin Miyako Hotel is a grand hotel nestled into a lush hillside overlooking the city. Smart rooms are simply dressed with large windows to enjoy the views, contemporary bathrooms and crisp white linen. An elegant restaurant serves up continental dishes. 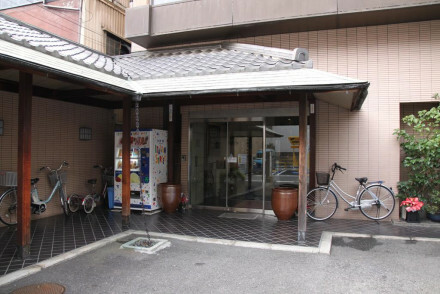 Well located to visit Kyoto's many attractions. The Nara Hotel is a classically Japanese property, but with many modern comforts, floor-to-ceiling windows, fireplaces and some lovely antiques. It’s the perfect match to this beautiful, historic city, close to the main sights and with its own glamorous bar and two elegant restaurants. Kankaso Ryokan is another wonderful match to beautiful Nara, an atmospheric ryokan set in its own pretty gardens, with beside Nara Park. The rooms are traditionally styled, with tatami mats, paper screens and lovely views. Kyūshū’s Ryokan Sanga is a traditional hotel offering 15 classically Japanese rooms. In a beautiful forest at the source of two hot springs. Also on Kyushu, Miyama Sansou is another countryside hideaway in a magical location close to natural hot springs. Built to resemble a small village the accommodation is in chicly designed individual cottages. Hakone’s Fukuzumiro is a traditional hotel offering classically Japanese-rustic rooms complete with tatami mats and paper lanterns. The gourmet restaurant serves sumptous regional fare and guests can unwind in the hot springs. For absolute tranquility, Kyoto’s Yoshida Sanso is a traditional ryokan nestled in beautifully manicured gardens and comprising just five Japanese styled rooms. Experience Kyoto-style kaiseki dinners (made up of many courses), wander to nearby temples or simply unwind in the gardens with a good book. A blissful escape from the bustling city. 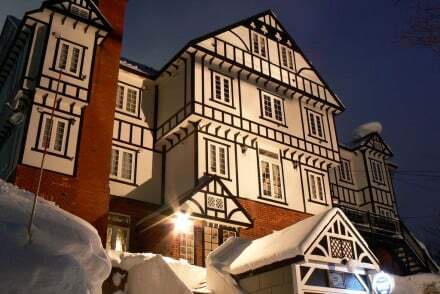 Chalet Ivy is in Hirafu’s Upper Village, close to the slopes. There are 266 chic, boutique-stye rooms, decorated in pale colours so as not to distract from the views. The Chalet has its own hot springs too. The Green Leaf Village has an unbeatable spot right at the base of Mount Niseko Annupuri, so you can ski-in and ski-out to some of Japan’s best skiing terrain. In the evening you could relax in the spa or in the glamorous bar. There are 200 rooms, all of them chic and comfortable, and they start from around £110 per night. The Hotel Niseko Alpen is a stylish, contemporary hotel with superb access to the slopes and simply styled rooms with huge windows. 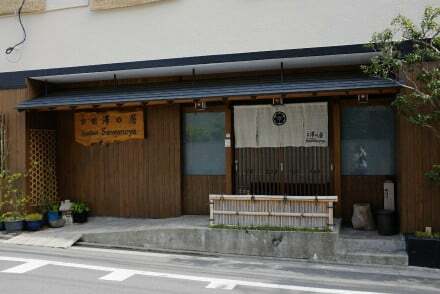 The restaurant serves regional delicacies and there’s an excellent onsen. And luxurious bathrooms. Tokyo’s Hotel New Otani is a shining, contemporary towner surround by manicured gardens - including a fantastic waterfall. There are just 62 rooms, some of them extremely luxurious, some good value. The decor is sleek. The Andon Ryokan is a traditional guesthouse in a quiet Tokyo neighbourhood with 24 simple rooms with roll down futons and large windows. There’s a more contemporary lounge. If you’re looking for good value this is one of the best locations in town. Rooms start from around £70 per night. Ryokan Sawanoya is another charming, family-run ryokan in an historic part of Tokyo. 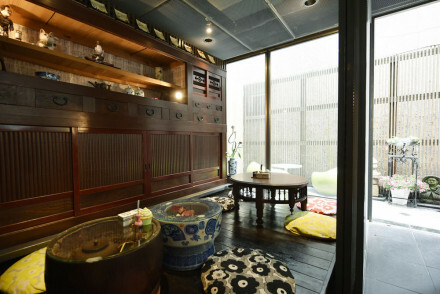 There are just 12 authentically Japanese rooms with roll down futons, sliding paper screens and traditional baths as well. Rooms start from around £75 per night. 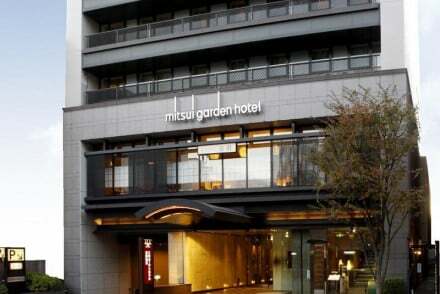 Tokyo is known for being expensive, so a room rate of around £120 in a great location, with good connections and a great meeting of Japanese style and modern design really represents great value. So the Hotel Niwa is worth including on this list. The Hotel Kuramoto in downtown Osaka offers simple, traditional accommodation, complete with tatami floors and futons. The location is excellent, and your’e close to cafes, restaurants and shops. Also in Osaka, we also like the Hotel Agora Regency Sakai, an effortlessly chic hotel with a top-of-the-range spa, and an excellent indoor pool. If you’d prefer to stay in an apartment or private accommodation we recommend you visit our online partner, booking.com. Tokyo’a Narita International Airport is Japan’s largest, and most international visitors will fly in to Narita, from where there are excellent public transport links into the centre to Tokyo. However Tokyo has a second international airport, Haneda International Airport, which is closer to central Tokyo to begin with. Haneda used to deal primarily with domestic flights, but in 2010 it opened an international terminal, so now you have even more choice than before. If you’re travelling from the UK the quickest flights fly direct from Heathrow to Narita, but these are also the most expensive, so if you’re looking to save money it’ll probably be in the hundreds of pounds cheaper to break your flights into two or more legs. If you’re going to press us on a favourite time of year to visit Japan the answer is probably late spring or autumn - either March, April or May, or September, October or November. This country is so caught up in the appreciation of its own natural beauty that it would be a shame to miss it at its most atmospherically beautiful. Still not sure which is the best place to stay in Japan for you? Refine your search to the best places to stay in Tokyo? or the best places to stay in Kyoto, Nara or Osaka? 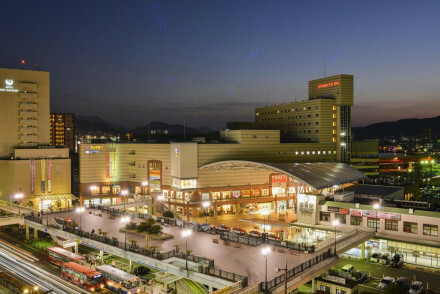 A smart hotel conveniently located next to JR Nagasaki Station. Light and airy rooms feature soft hues, crisp white linen and simple dark wooden furniture. Find efficient service and massages on arrangement. With easy access to the city this is an ideal property for both business and leisure. Value chic - A sophisticated hotel boasting a central location all offered at a very reasonable rate. Sights nearby - Climb the 277 steps leading up to the Suwa Shrine. Great walks - Take a stroll through the scenic Heiwa Park. Boasting a seafront location on Yakushima Island, Soyotei offers traditional Japanese style accommodation. Be sure to enjoy their exquisite meals made using local seafood! Unwind in the beautiful outdoor bath or chill in the hammock. Family rooms available. An utterly rejuvenating coastal stay! Beach Life - This property enjoys a beachfront location so spend your days lounging by the seaside! Sights nearby - The whole island of Yakushima is a World Heritge Site so be sure to explore its full beauty! 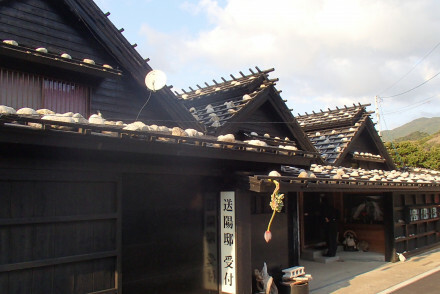 A traditional guesthouse in a quiet neighbourhood. Simple rooms are traditionally dressed with roll down futons, large windows and almost nothing else. The lounge area is a more contemporary affair with new-age furniture and bold colours. A friendly base for travellers on a budget. Value chic - A great value hotel in a quiet locality but with easy access to the city's main attractions. Sights nearby - Visit the awe inspiring Tokyo Skytree and marvel at the city views from the observation deck. 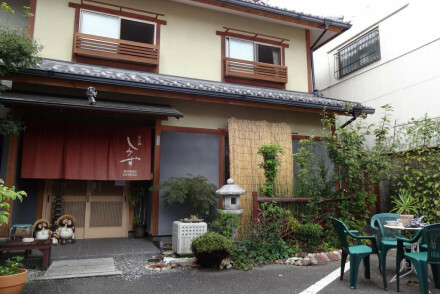 Great walks - Located close to the ever popular Ueno Park. Restrictions on children - Restrictions on children below 11yrs old. Charming family run guesthouse in a historic part of the city. Twelve authentically Japanese rooms feature paper lanterns, roll up futons and sliding paper screens. The baths are traditional too and come complete with helpful instructions. The owners are ever-willing to assist. The real experience. Local exploring - A traditional Japanese home giving an authentic experience and with easy access to the city. Sights nearby - Wander through the neighbourhood and see the old wooden houses and the immaculately preserved temples. Great walks - Take a stroll in the nearby Ueno Park. 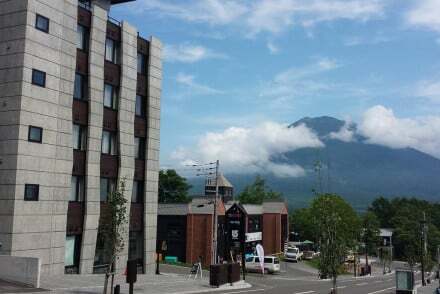 The family-owned Grandpapa offers unfussy accommodation in the ski town of Niseko. Each room comes with a TV and wifi, there's also a common area for socialising in the evenings, karaoke breaks the ice! 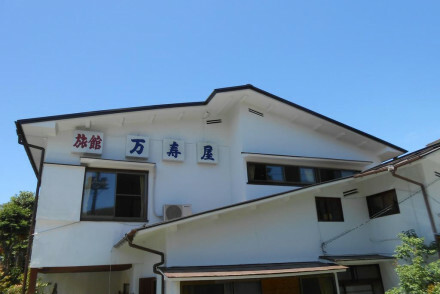 Unwind in the Yukoro Onsen hot spring located just next-door! A simplistic & very friendly spot. A collection of chic apartments with spectacular mountain views. Open plan lounges feature polished wooden floors, well equipped modern kitchens and floor to ceiling windows. Rooms are contemporary and cosy. Just steps from the nearest ski-lift. A smart property, ideal for outdoor enthusiasts. Skiing - A short walk from the Ace Family Lift at Niseko Grand Hirafu Ski Area. Active Holiday - A chic base with easy access to Niseko's numerous outdoor pursuits. Hotel Kuramoto is located in downtown Osaka and offers traditional, simple accommodation with tatami-mat flooring and futon bedding. Enjoy a cafe in the lounge and unwind in the public baths after a long day sightseeing. A simple and friendly city stay in a great location! Local exploring - Right in the centre of Dotonbori, tonnes of shops & restaurants to check out. Hotel Agora Regency Sakai enjoys a prime location in downtown Osaka. The property provides a range of chic rooms and elegant suites as well as boasting seven dining options-all of which are definitely worth a try! Come back after a day out sightseeing and unwind in the sauna. A wonderful city stay!